JBL EON615-CVR-WX Convertible Speaker Cover Pair for JBL EON615 by JBL at IGWT. Hurry! Limited time offer. Offer valid only while supplies last. 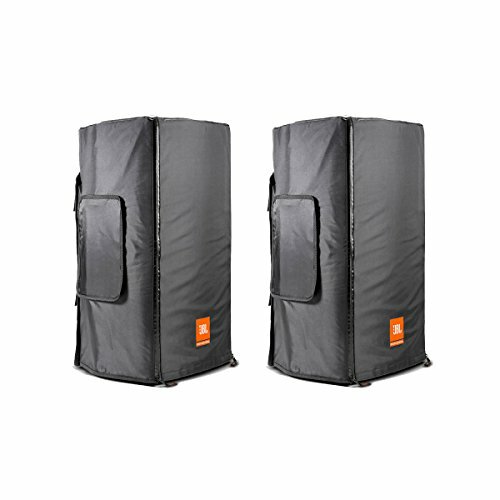 Pair of Speaker Covers The JBL EON615-CVR-WX convertible loudspeaker cover lets you protect your JBL EON615 powered P.A. - even while your using it! Pair of Speaker Covers The JBL EON615-CVR-WX convertible loudspeaker cover lets you protect your JBL EON615 powered P.A. - even while your using it! The EON615-CVR-WX cover allows you to access the rear inputs, grille, and side handles of your EON615 speaker without having to remove it. This bag uses durable 600 Denier nylon fabric and nylon-core zippers to give you years of use, and features an attractive JBL logo to match your speaker. Now you can keep your speaker covered and use it too with the EON615-CVR-WX!